Ironweed Borer Moth, Papaipema cerussata is one of several prairie moths found at Ojibway. 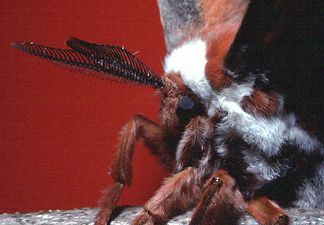 The Cecropia Moth, Hyalophora cecropia is the largest moth found at Ojibway with a wingspread of 15 cm. 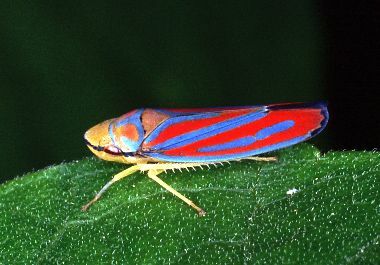 This brillant leafhopper, Graphocephala coccinea can be found in backyards and gardens. 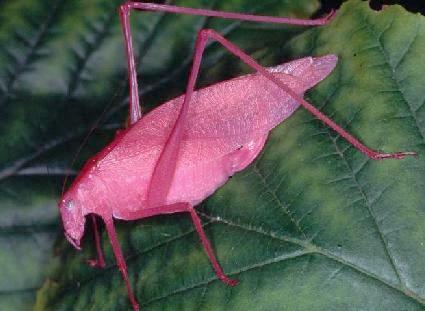 Not all flies are dull! 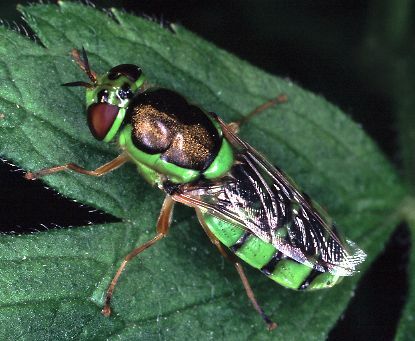 This is a soldier fly, Odontomyia sp. Mantid Fly, Climaciella brunnea (Say). 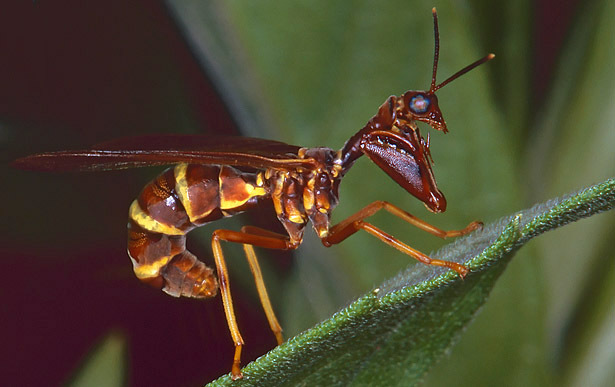 The larvae of most mantidflies are parasities of ground spiders and their eggs. 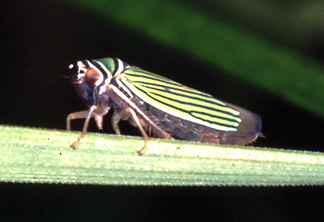 Leafhoppers (Cicadellidae) and piglet bugs (Caliscelidae) are the most diverse group of insects that specialize in prairie, with over 200 species endemic to prairie habitats in North America. Many species are restricted solely to high quality prairie remnants. In 1994 three leafhopper species new to Canada, Limotettix elegans Hamilton, Polyamia similaris DeLong & Davidson, Flexamia areolata (Ball) and one species new to Ontario, Neohecalus majestus n. sp., were collected at Spring Garden by Andy Hamilton, Centre for Land and Biological Resources Research. Other prairie leafhoppers at Ojibway include Dorydiella kansana, Flexamia prairiana and the switchgrass leafhopper Graminella oquaka. 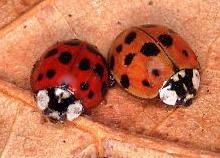 Thousands of Multicoloured Asian Lady Beetles, Harmonia axyridis, were seen in Windsor and LaSalle during the fall of 2000 and 2001. This introduced beetle was first found in Ontario in 1994 but is now one of the most commonly seen "ladybugs" in our region. 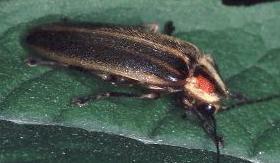 Homeowners should not be concerned as the beetles will disperse on their own next spring. Three species of Ojibway butterflies are considered imperilled in Ontario, seven are rare to uncommon in the province and a total of 17 species are considered rare in the region. 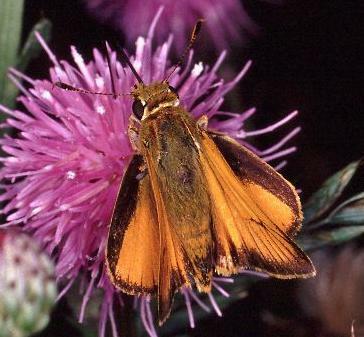 Ojibway supports populations of Giant Swallowtail, Mulberry Wing Skipper, Duke's Skipper, Little Copper, Baltimore, Cross-line Skipper and Broadwing Skipper. Butterflies such as Cabbage White, Clouded Sulphur, Orange Sulphur, Common Sootywing, Bronze Copper, Milbert's Tortoiseshell, and Red Admiral feed on "weedy" plants as caterpillars and are commonly found in meadows and roadsides. 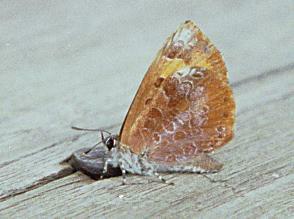 There has been very little work done on other groups of moths at Ojibway. 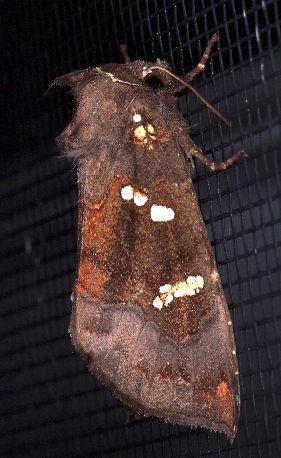 One prairie moth new to Ontario was discovered at Spring Garden in 1994, Semiothisa undescribed species [ordinata of authors]. Other significant discoveries at Ojibway include several new species for Ontario and species with strong prairie affinities such as the Culver's Root Borer, Papaipema sciata. 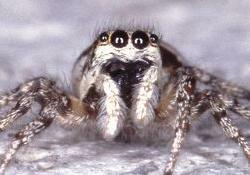 Visit our photo gallery of spiders that inhabit Ojibway. Copyright © 2000 - 2008. All rights reserved. You are on the City of Windsor World Wide Web Site.